Good quality medals in antique silver colour finish, featuring rugby scene with (male) rugby player, ball and posts. 70mm / 2.75in in diameter, offered with engraving options (engraving will go on the blank reverse of medal) and an optional presentation box is also available in four colour options. Engraving in bulk? 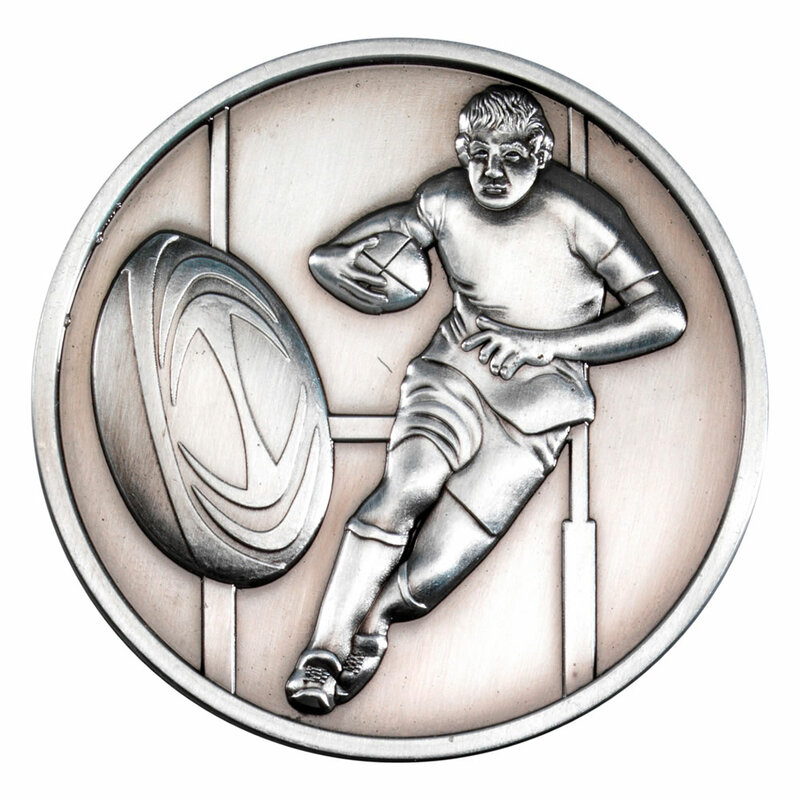 If you have different engraving for a number of these silver rugby medals (eg. different winner names), order the quantity of medals required and put 'see email' in the engraving field. Then send us an email with your order ID and the list of names or other details to be engraved.